With the vast array of guitar pick colors I have, I'm always aiming to do something new. 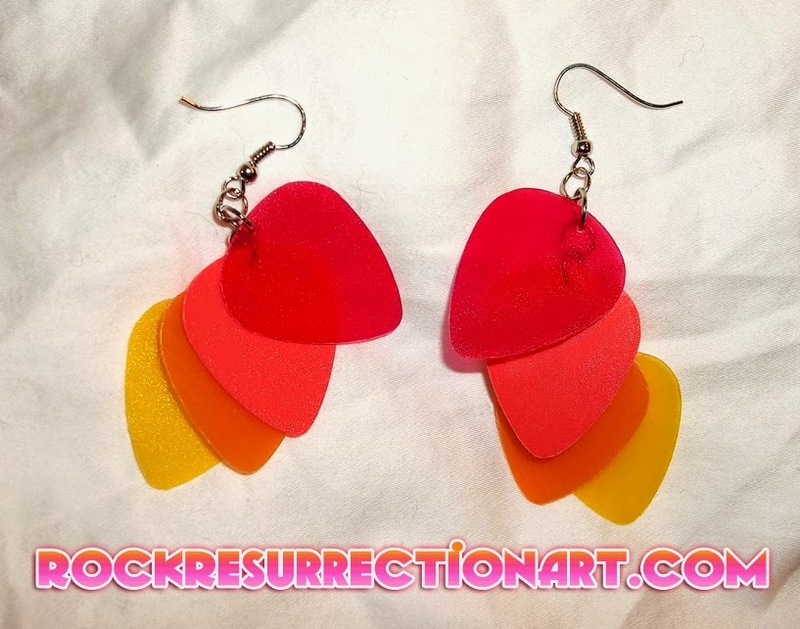 These beauties are my Flames guitar pick earrings! I have one pair ready made and if you're looking for instant gratification you can snag these by going to the reserve item(s) page. Otherwise, I can make up more pairs of these once I get the word. ✓ If you are interested in these, you can reserve them or send me an email.